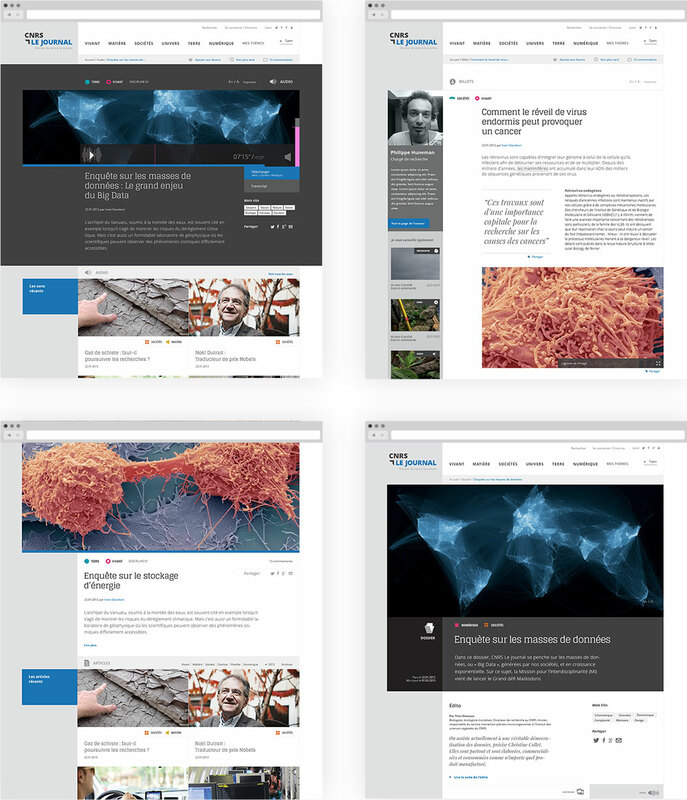 Design for CNRS's communication department. Creation of a bimonthly web magazine for scientific and institutional news. Assistance with project management for the development of the website. 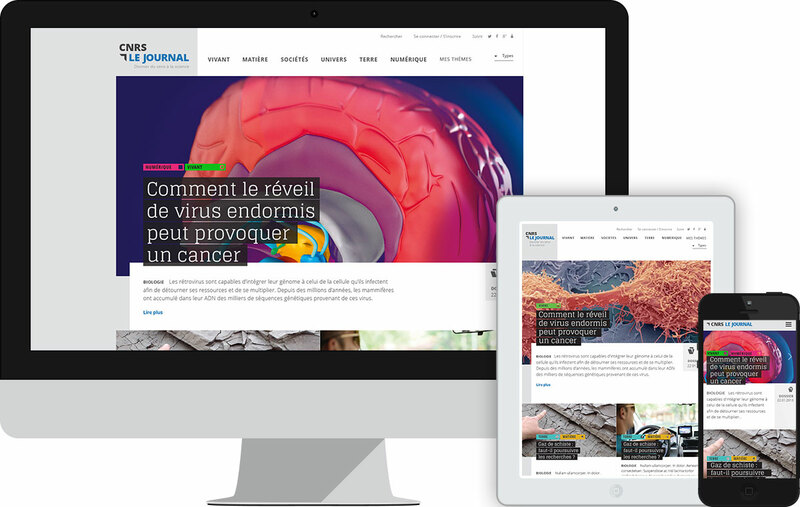 Distributed 50,000 copies in its paper version, the Journal of the CNRS only exists in pdf digital format. The challenge was to create new media in collaboration with the editorial team. Attention has been paid to the information architecture and content articulation. The design is didactic, narrative and graphically impacting. The images bear significance. The site is responsively designed. Therefore, the quality of the experience is optimized with all devices. is the slogan of the CNRS Journal. 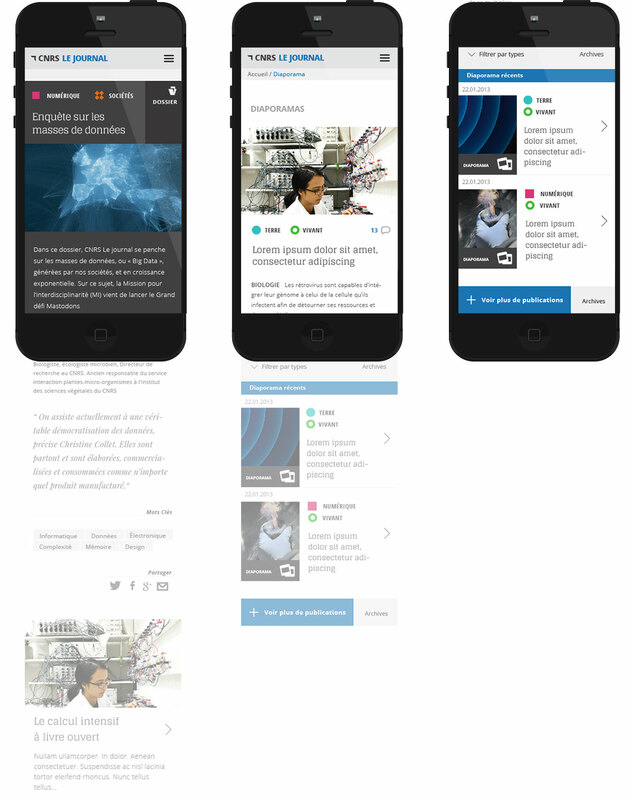 A challenge we faced by designing a digital experience to match the quality of the content. We created a clean and efficient layout, designed for all devices, based on two simple principles: readability and clarity. A meticulous and detailed work, page by page, allows us to create an optimal user experience on all platforms.